New Jersey features two designs, Peacock and Romancing Birds. These visually stunning rugs are beautiful printed on an acrylic chenille base, they pay homage to nature’s beautiful creations. These trendy designs are inspired by peacocks feathers and the delicate, almost ephemeral beauty of our feathered birds. 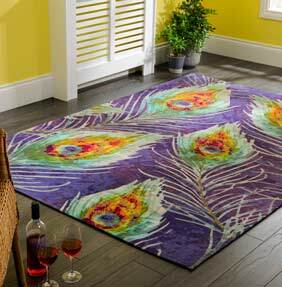 Made from printed acrylic chenille to give the intricate and romantic feel to stunningly coloured rug.